Moneta Senior Advisor Farah Winkler works on the Sadler Georgen Harmon Team to always incorporate ‘Raving Fan’ service into her work with clients. She strives to expand her involvement with clients in order to better anticipate their needs and contribute to their relationship with Moneta in a more significant way. Farah earned her B.S. in Business Management and Accounting from Maryville University. 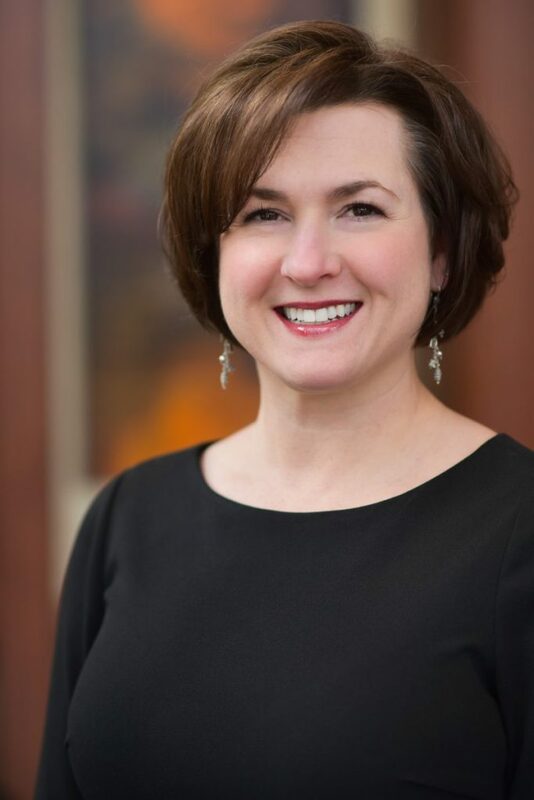 Prior to working at Moneta, she developed eight years of experience in the banking industry. Looking for a more holistic approach to helping clients achieve their financial goals, Farah joined the Sadler Georgen Harmon Team as a Client Service Manager in 2003. After further enhancing her technical skills by obtaining the CERTIFIED FINANCIAL PLANNER™ designation in 2010, Farah’s role on the team evolved to Senior Advisor. Today, she continues to expand her knowledge-base and skill set to better serve her clients. Farah and her husband live in Eureka with their son and daughter.